These are “Amino-Acid based formula”. 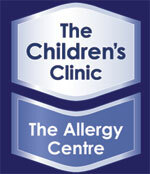 At the Childrens Clinic | Allergy Centre, we often prescribe these special formulas for babies with severe multiple food allergy and/or malabsorption, bowel problems, poor growth and reflux disease. Each baby needs careful assessment to work out the best appropriate formula. These special “milks” are expensive. You require specialist Pediatrician approval to qualify for a health subsidy to get these formulas on a prescription. Neocate and Elecare are similar products. Amino Acid Formula mixing instructions. When measured, powder should be unpacked and level in the scoop. For Toddlers over 12 months, they should NOT be automatically transitioned to the Advance or Elecare high concentration (4 scoops to 150mls), unless there are growth problems. This should be discussed with your paediatrician. how can i buy this formula? A chemist can sell you this product – it costs around $100 per tin. To get it on subsidy, you need to see a specialist.